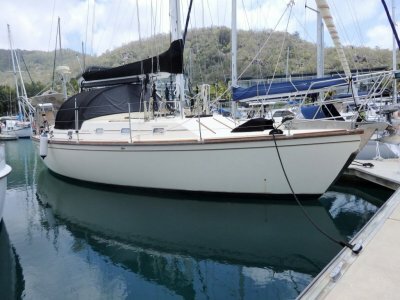 Large volume ketch rigged motorsailer with large covered aft deck for relaxing or fishing. Bilge keels can allow beaching. 165hp diesel allowa comfortable cruising at an economical 8 litres per hour. 9 single beds and an aft cabin double, good sized shower with a new HWS in 2015. Well built hull . . .
Roberts Spray. 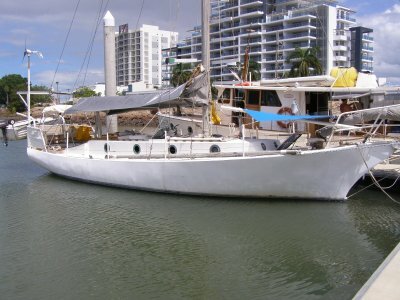 English built yacht, strongly built in steel for offshore sailing, and subsequently sailed to Australia. This is a deceased estate, so limited information available. 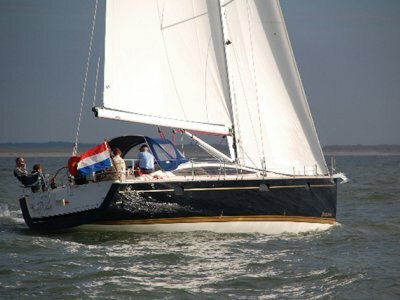 Some sails, mast and boom, Volvo engine, cabin heater, aft double bed cabin, separate single cabin, galley drop leaf . 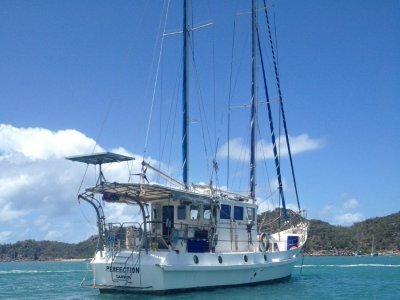 . .
Australian registered yacht in lovely condition has been exceptionally well looked after by the owners who have lived aboard and cruised for 9 months of the year for the last 20 years. Renowned american designer Gary Mull designed this yacht, and whilst a comfortable cruising yacht, sister ships . 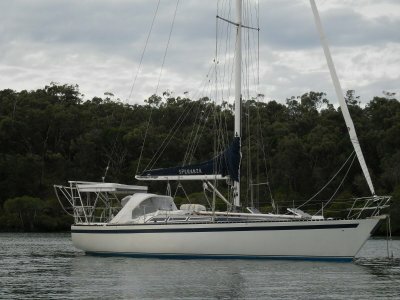 . .
Whitsunday 43 WHITSUNDAY 43 large volume cruising yacht. 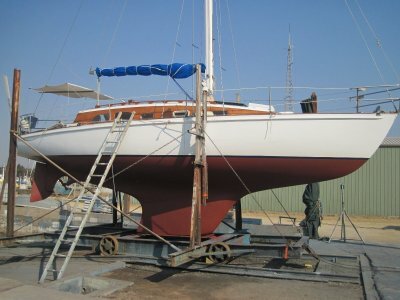 Supenbly designed by Ben Lexcen, this extremely spacious 43 ft cruising yacht professionally built by Wright and Horne has in excess of 7ft headroom, for and aft double cabins, the aft master having an ensuite, and the boat has had many upgreafes in the last few years including a whisper quiet 5kva . . . In lovely condition, this 2000 year model was built to survey by Dufour, one of Europes most profilic boatbuilders since 1964. The "Classic" is a timeless design that holds its resale value well. Lovely timber finsihes inside, in a well thought out 3 cabin interior. This boat recently had . . .
Autralian registered vessel currently located in Langkawi, Malaysia has had extensive upgrades during last 12 months and is ready to go. 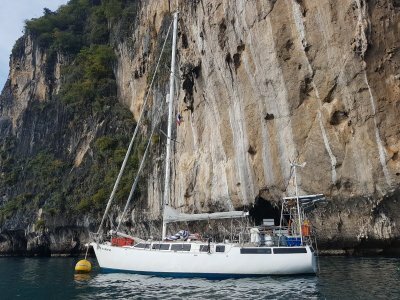 Adams yachts all sail well and this boat is no exception and is a good performing passagemaker with the advantage of a shallow draft and swing keel for shallow . . .
NEW BOAT. The eagerly sought after flagship of Delphia's fleet, this yacht really is a joy to be aboard. The interior exudes quality and luxury, and the "L" shaped galley near the companionway and reduction of wide open spaces makes this an excellent boat at sea. Two interiors are . . .
Not an ounce of fairing in this round bilge steel H36 cutter. Renowned Herreshoff seaking, and lovely traditional styling. 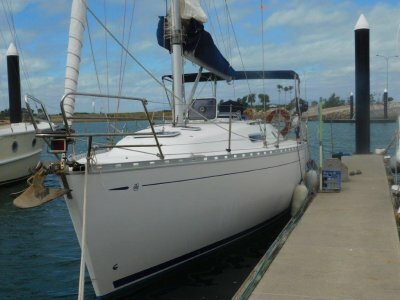 Australian registered, you can sail the world in confidence in this yacht. Much admired well equipped boat can take you anywhere. . . . 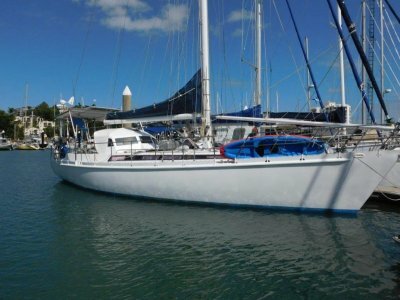 Built by Holland and Whelland in NZ and launched in 1969, innovative for its time but still classic styling, present owner has had this boat for 36 years, so a lot of its history is known and available to a new owner. 2 cylinder Sabb diesel in good running order. Plenty of sails. Inch and 1/8 kauri . . .